Here comes trouble! A super-dooper picture book featuring the one and only Daisy! 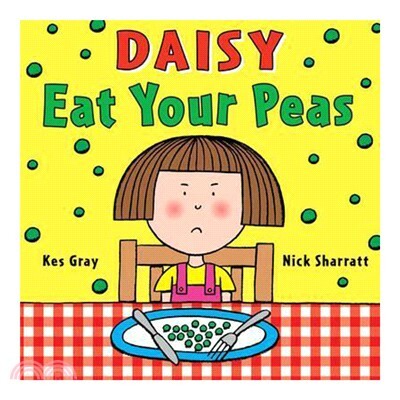 Daisy does Not like peas. And there is Nothing that will get her to eat them. Mum says she can have an extra pudding, a chocolate factory or a space rocket with double retro laser blammers - but it just won't work! Can quick-thinking Daisy save her tea time and come up with a cunning plan to turn the tables on Mum? This is a wickedly funny book about dinner time which will appeal to fussy eating children and their despairing parents!